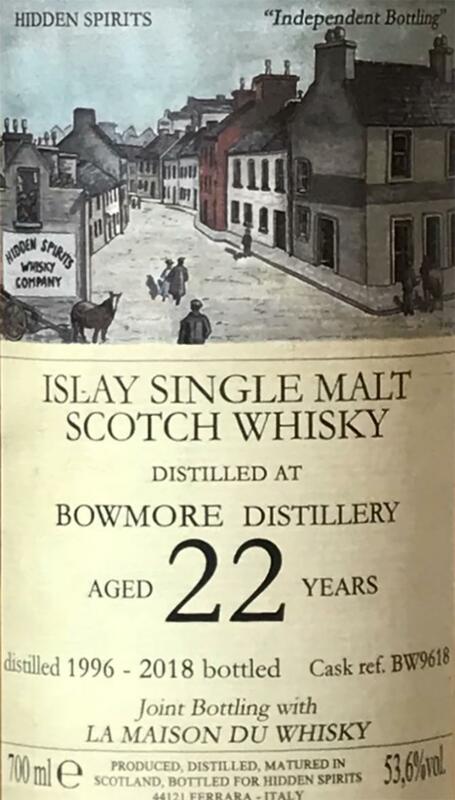 Mild yet very full of character makes this Bowmore appetite for more. Balanced and harmonious, the different flavors play together, the mixture of sweetness, fruit, smoke, wood, peat and freshness is impressive. A very delicious Bowmore, I like it very much! Sweetness and fruit flash briefly, then the entire mouth filled with cold smoke and warming peat. Tart wood tones rise, creamy, slightly greasy and oily elements come out, a few grains of salt dissolve on the tongue while pleasant wooden sharpness envelops the tongue. Minimal citrus aromas and barely perceptible liquorice dissolve from spicy woody notes and slightly earthy hints. The taste is extremely mild yet powerful and voluminous. Just a little salt and pepper is distributed on the tongue, from slightly burned wood chips dissolves mint and eucalyptus. The salivation is stimulated again, fly ash and echoes of bananas and lemons prepare for the aftertaste. Herb and spicy swim creamy pieces of wood in the saliva, a touch of cold smoke dissolves from fruity peat. Fly ash and burned wood provide a rougher and darker aroma, creamy sweetness lies in the background. With spicy wood tones and old walnuts the aftertaste comes to an end and leaves a chubby warm mouthfeel on the palate and creamy wood under the tongue. A lot of relief. Peat well pronounced for a Bowmore. Fruit. Some zest. In the mouth, very dynamic. Not wise at all for his age. Peat a bit dirty for a Bowmore. Final on the coffee. So I can not really understand this Jubelarien here. Overall, a great Bowmore, but not exactly "exceptional". Nice nose, nice on the palate and pleasant finish. An "aha effect" but remains off. Established in 2013, Hidden Spirits [SW] sees owner Andrea Ferrari turning his hobby into a business. Appropriately he’s brought some fine stuff to TWE show. Bowmore is one of Andrea’s loves. He had also owned a cask from 1989 but hadn’t taken to it. This one from 1996 proved far more to his liking. C: This is very similar to a bourbon-matured Cadenhead Bowmore [WB], I’m currently working my way through. 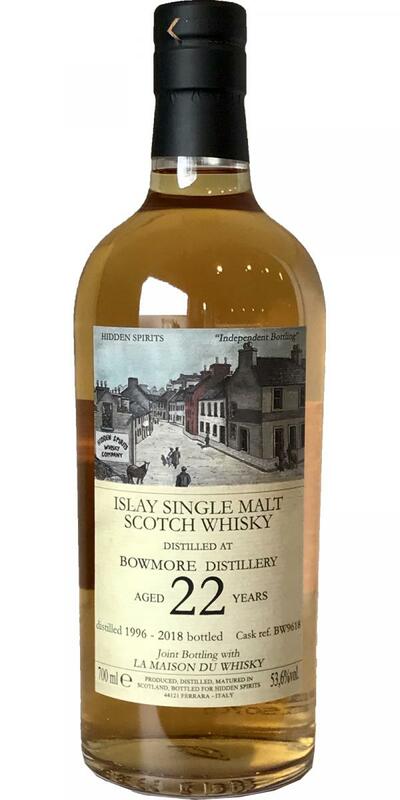 With fruits & violets, we’ve a solid Bowmore bottled at cask strength. At finish well balanced, hints of banana. Great dram, pity that nose is not that brilliant and opened.